General Manager of Ship Leasing Dept. Mr. Zhu Jiafeng is the gerneral manager of Ship Leasing Dept. of AVIC Leaisng Ltd. He has been working in shipping finance and leasing area for more than ten years. Mr. Zhu set up and developed the ship leasing business in AVIC Leasing and expanded their business from Chinese domastic market into the global market. After developing continuously and steadily in the shipping winter over the past years, AVIC Leasing is among the most important ship leasing companies in China. Before that, Mr. Zhu was a senoir rating analist in Fareast Rating Company and completed the credit rating of hundreds of enterprises and several groups. Mr. Zhu was also employed by Shanghai Golden Coast Leasing Company in his early years. 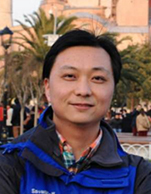 Mr. Zhu graduated from Shanghai Jiaotong University with Bachelor of Economics in Finance in 2000. He acquired Master of Economics in Finance from Renmin University of China in 2005 and MBA of Ashridge Business School in 2014.